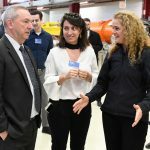 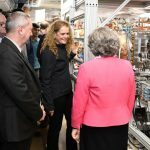 Her Excellency the Right Honorable Julie Payette, Governor General of Canada, visited the U.S. Department of Energy’s Fermi National Accelerator Laboratory today, touring the lab’s extensive research complex and celebrating the start of a new partnership between Fermilab and York University in Toronto. 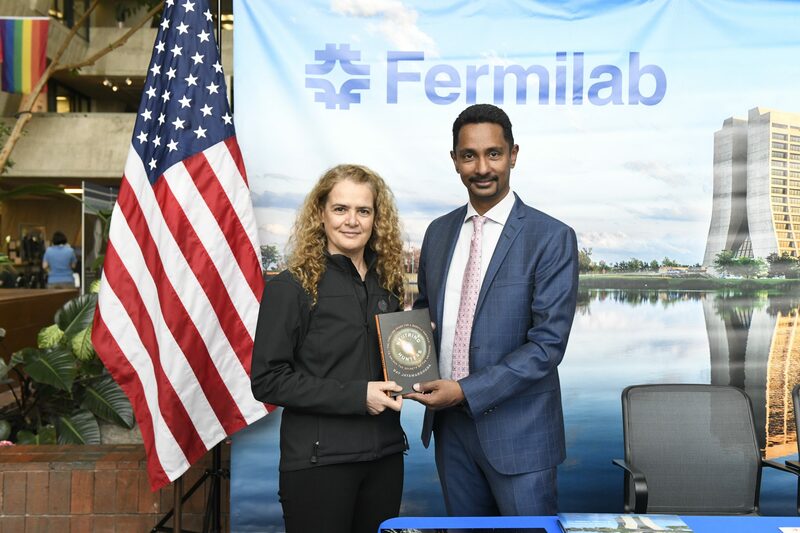 The two institutions announced today the joint appointment of physicist Deborah Harris, who will lead York’s participation in the Fermilab-hosted Deep Underground Neutrino Experiment. 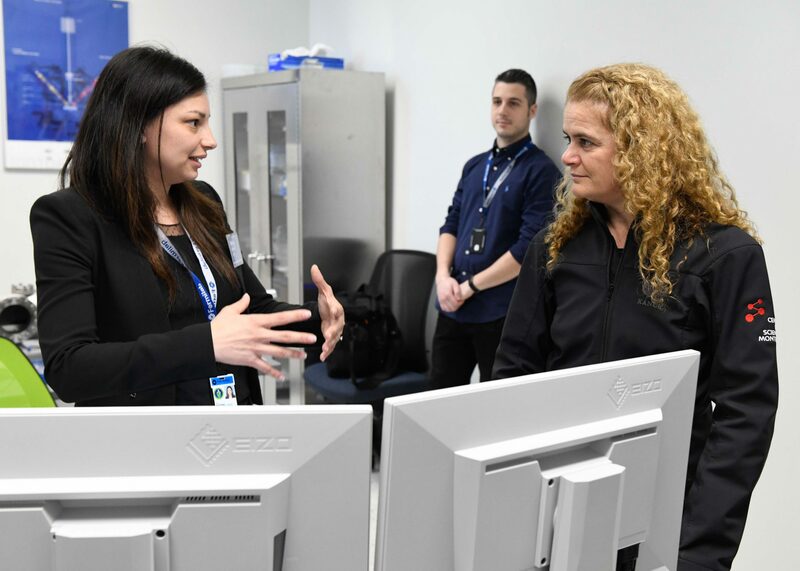 Her Excellency trained as an engineer and spent more than 20 years as an astronaut, flying two missions in space and serving as capsule communicator at NASA’s Mission Control Center in Houston as well as chief astronaut for the Canadian Space Agency. 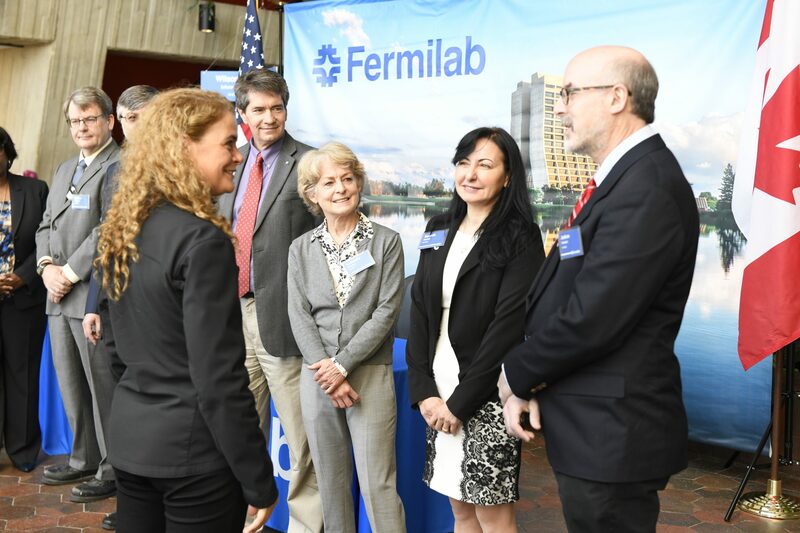 During her visit to Fermilab, she acknowledged the importance of collaboration and close science research partnerships between Canada and the United States. 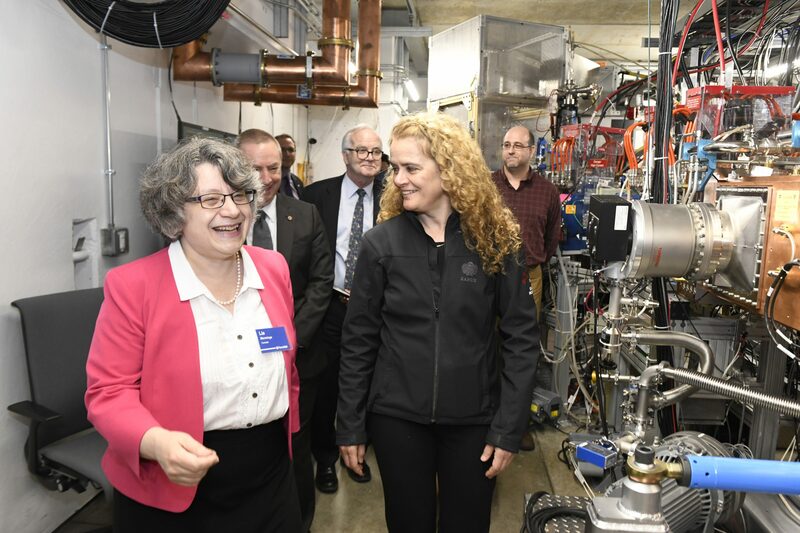 In her new role, Harris will hold the title of professor at York University while continuing as a senior scientist at Fermilab and as a leader in the study of elusive subatomic particles called neutrinos. 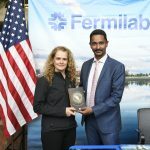 She led the construction of the MINERvA neutrino detector at Fermilab and has served as co-leader of the experiment’s scientific collaboration since 2010. 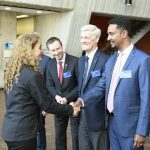 As a member of the Deep Underground Neutrino Experiment, Harris collaborates with more than 1,000 colleagues from around the world. 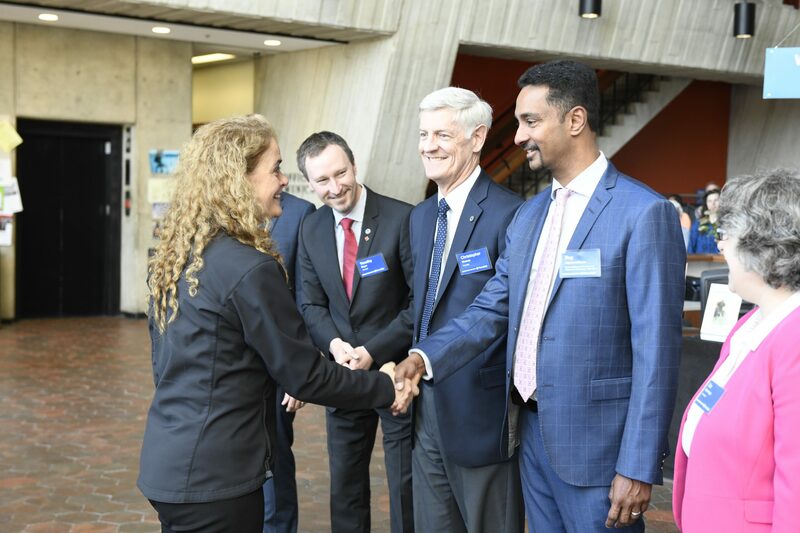 Together, the international DUNE collaboration will advance research into neutrinos. 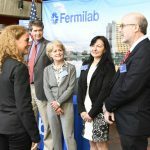 These tiny particles are the most abundant in the universe, but are little understood, and could answer some of the biggest questions in physics. 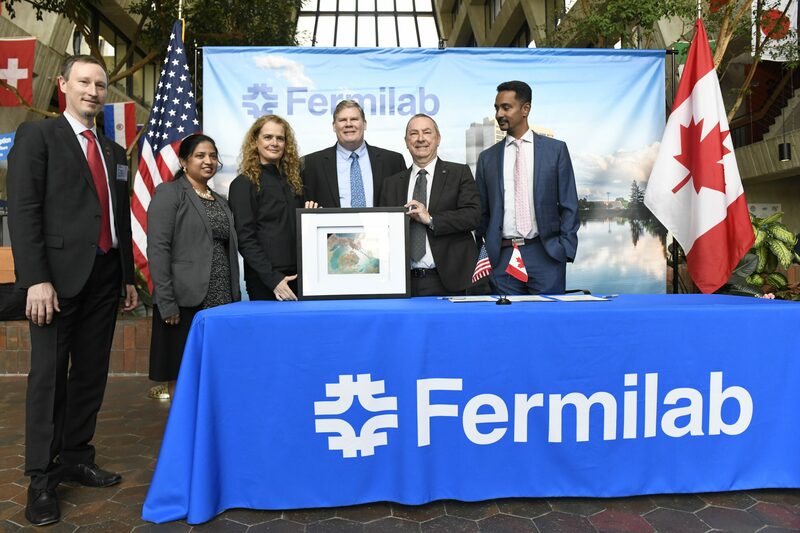 Fermilab Director Nigel Lockyer, a graduate of York University and former director of TRIUMF, Canada’s national laboratory for particle and nuclear physics, highlighted the importance of research into these tiny particles. 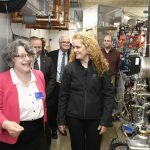 The Deep Underground Neutrino Experiment, together with the Long-Baseline Neutrino Facility, will send the world’s most intense beam of high-energy neutrinos 800 miles through the earth from Fermilab to the world’s most advanced neutrino detector one mile underground at the Sanford Underground Research Facility in South Dakota. 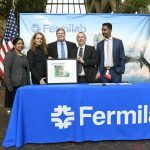 LBNF/DUNE, which broke ground last July, will include contributions from scientists and engineers around the globe. 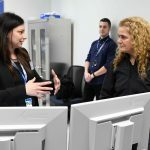 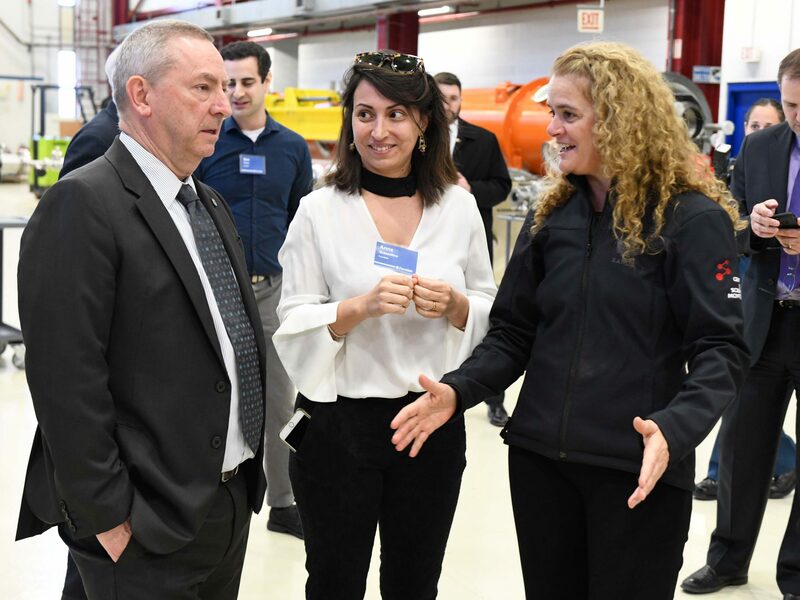 York University President and Vice Chancellor Rhonda Lenton also noted the benefits this partnership will bring for the institution’s students and faculty. 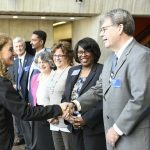 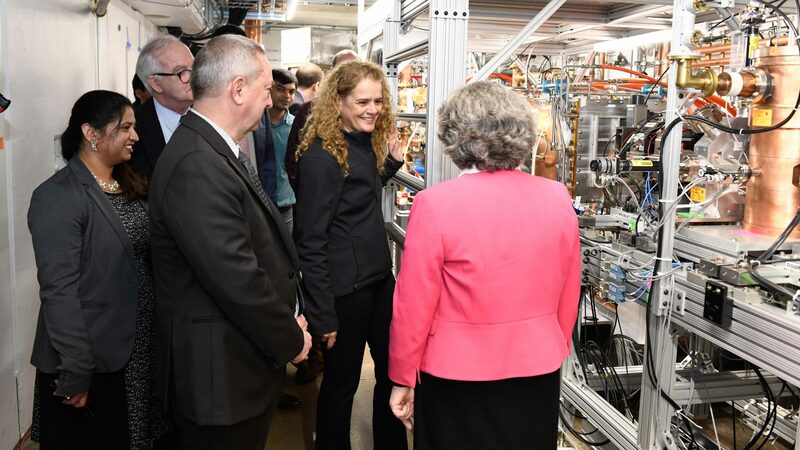 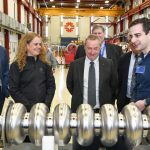 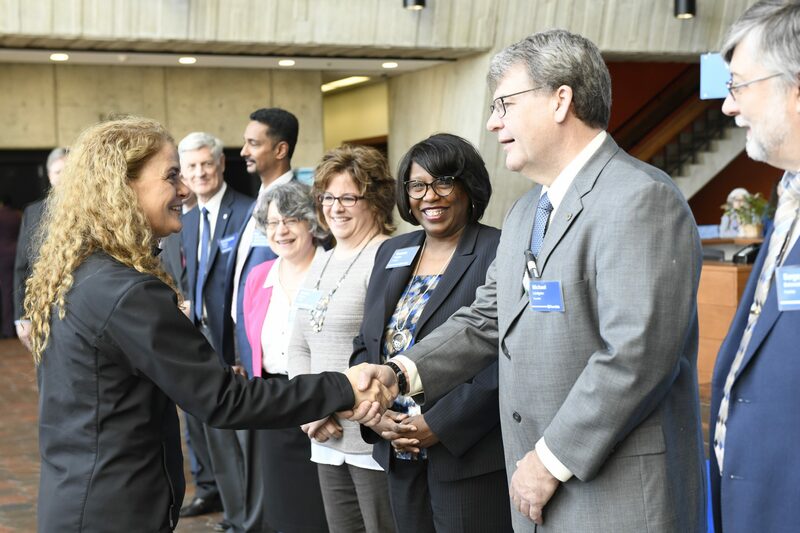 The Governor General’s tour also highlighted many other areas of collaboration between Fermilab and Canadian universities and laboratories on particle physics and particle accelerator research. 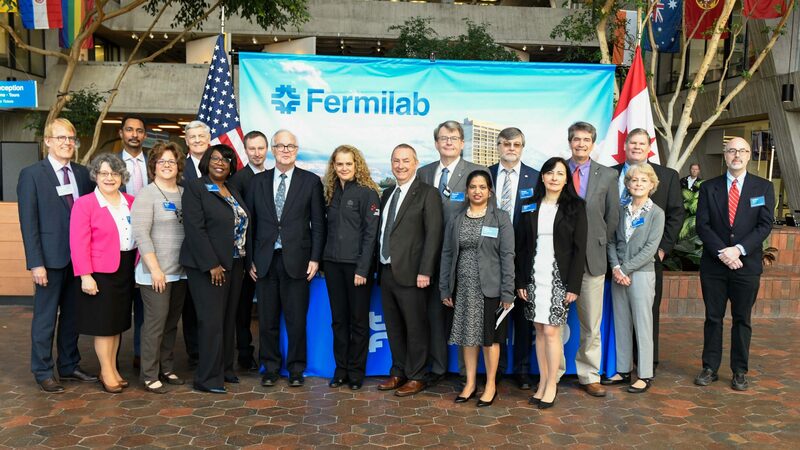 Canadian scientists were key contributors to the CDF and DZero experiments, which ran at Fermilab’s Tevatron particle collider for decades and discovered the top quark in 1995. 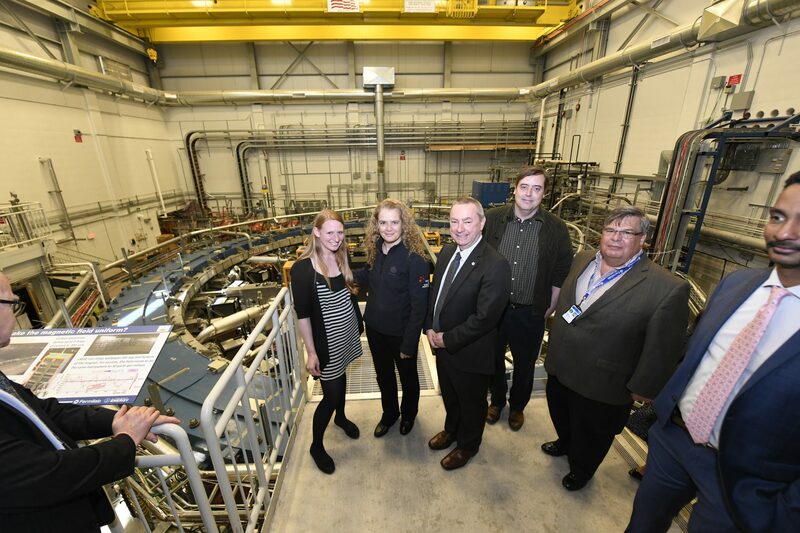 Today, Canadian institutions and Fermilab collaborate in several ways on the search for particles of dark matter — a substance that composes 26 percent of the universe but has not yet been directly detected. 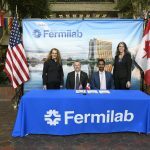 Scientists from the University of Victoria in British Columbia participate in the effort to search for particles of dark matter through Fermilab’s MiniBooNE experiment. 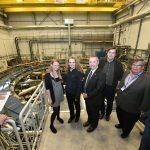 And three dark matter experiments that originated at Fermilab have found new homes at Canada’s SNOLAB, a science laboratory operating 2 kilometers underground near Sudbury, Ontario. 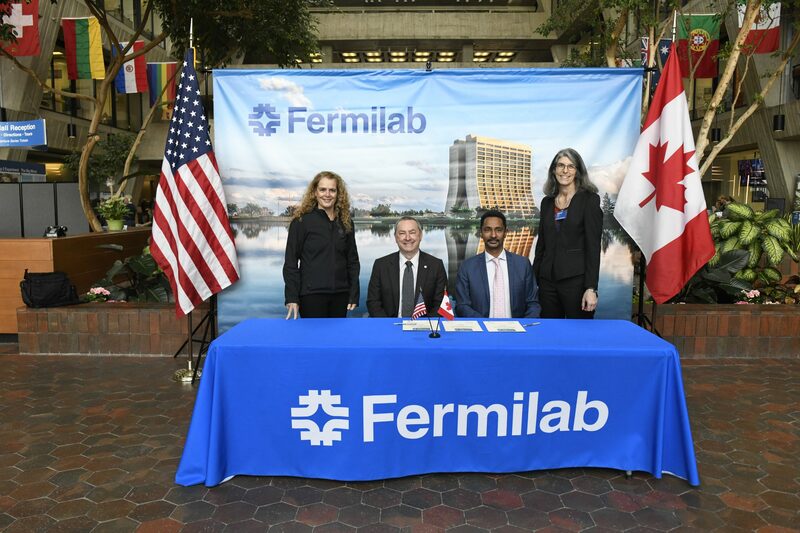 Theoretical physicists from Fermilab and the Perimeter Institute in Waterloo collaborate toward an ever better understanding of the universe’s underlying principles. 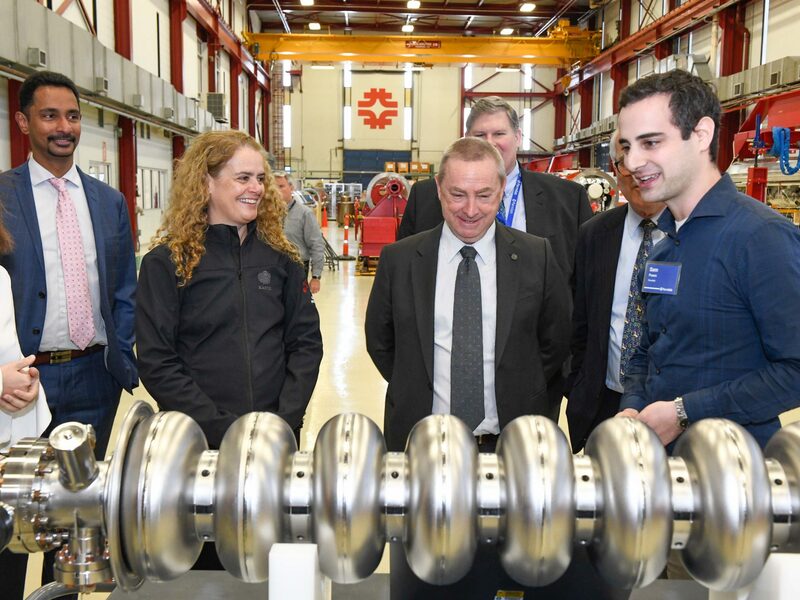 Collaboration between the TRIUMF laboratory and Fermilab was also on display during the Governor General’s tour, including a key component, designed by TRIUMF and built by Canadian company D-Pace, of the particle accelerator upgrades that will generate the neutrino beam for DUNE. 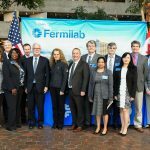 Fermilab has also provided particle accelerator and particle detector technology to the Canadian laboratory for research.